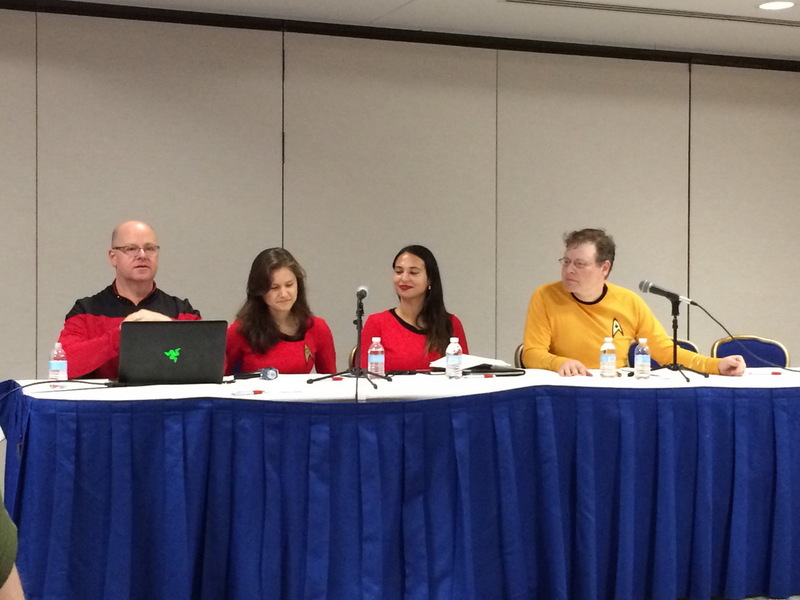 One of highlights of the Museum of Science Fiction's Escape Velocity 2017 Convention was the symposia on the Law and Star Trek. A panel of distinguished lawyers, including a law professor, a partner in a private practice along with a couple of attorneys working in the court system lent their collective wisdom on how legal concepts were applied on The Original Series (1966-1969), The Next Generation (1987-1991), Voyager (1995-2001) as well as several major motion pictures. 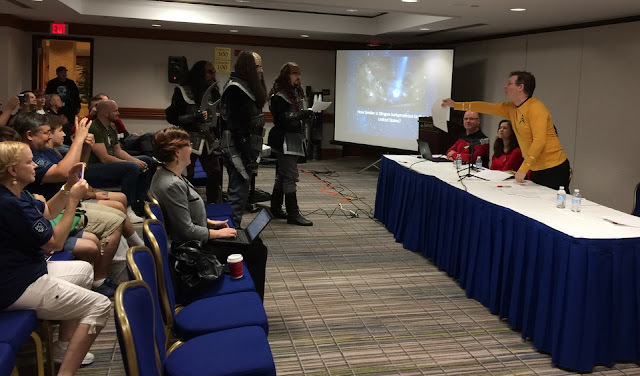 The discussion consciously avoided the many violations of Star Fleet's Prime Directive, which sought to prevent the imposition of values and technologies by superior space races (i.e. civilization which had achieved warp speed). Star Trek creator Gene Roddenberry originally envisioned Star Fleet justice to be meted out as would an 18th Century colonial captain. Under Admiralty Law, the highest in command in an area was the person who wheeled great discretion because of scant communications with Star Fleet Command. But as Star Trek progressed, it seemed to favor Common Law tendencies to individual rights, guarding due process and being conscientious about justice rather than the blind application of law. As the session was ending, these words were tested by Klingon Justice. A Fire Line for The Blaze?